Why go on vacation to Los Cabos and settling for a hotel room when you can have all the comforts of a Hotel during your holidays at Alegranza Luxury Resort? This delighting All Suites Resort is noted for its high finishes, warm service, high-end amenities, and location. With top of the line kitchen appliances, ample terraces, washer & dryer, wireless internet and the best location in town, Alegranza is the best option for your vacation in Cabo. From lavish two story level penthouses and Premium fully furnished 2 or 3 bed- rooms Master-Suite condos ranging from 2,010 to 3,200 sq. 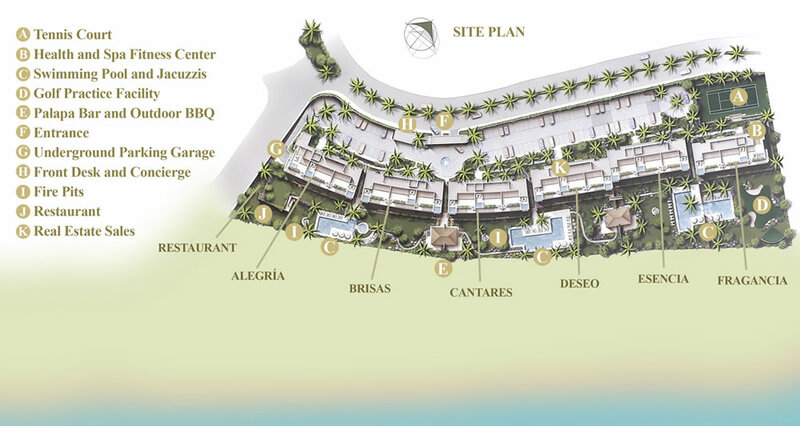 ft., Alegranza offers the most versatile Condos in Cabo for rent. center, sauna, brand new tennis court, 3 saline water infinity lap swimming pools, 2 Jacuzzis, purified water, golf putting green, natural rock fire pits, palapa bar, BBQ grills, 24 hour concierge and luxurious landscaped common areas. Whether you’re looking for a Luxury Resort in Mexico to have quality time with your friends and family, a relaxed vacation to pamper yourself or ex- plore the wonders Cabo and its surroundings, Alegranza will prove to be the best option for your next Mexico vacation. Alegranza Luxury Resort is one of the two pet friendly hotels in San Jose del Cabo, so there is no need to leave your canine or feline friend back home, we do have assigned condos that accept Pets!